AZ PIANO REVIEWS: SENIOR CITIZENS - PLAY PIANO for WELLNESS! SENIOR CITIZENS - PLAY PIANO for WELLNESS! UPDATED REPORT: November 20, 2018 - Seniors Playing Music on a Digital Piano makes for important WELLNESS ACTIVITY in Body, Mind, and Soul! Senior Adults are an important and vital part of American society as well as other societies & cultures around the world, and seniors need relaxing and uplifting hobbies to help give them a longer and better life. My parents are seniors as are some of my other relatives and friends, and depending on who you ask a senior can be nearly any age once you're over 50...especially if you ask a young person:) Seniors deserve a happy life because after all, they probably worked hard to get there and helped to support their family and themselves in the process. When retirement finally hits and you're no longer working full time or at all, playing music can be one of the most rewarding past times you can be involved with. No matter who you are or where in the world you live, playing any kind of a musical instrument is very good for you and if you can do it on a digital piano, it's even better! 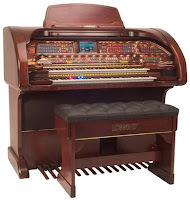 In the old days many years ago, I used to play organs (pictured left) such as Lowrey, Roland, Yamaha, Kimball, Hammond, etc, and those instruments were very popular with people of all age groups both young and old. That was a time when nearly every big Mall in America had at least one organ store with someone playing out in front. I loved playing songs on those organs and in fact performed for large groups of people including senior retirement centers which we have plenty of in my home state of Arizona. 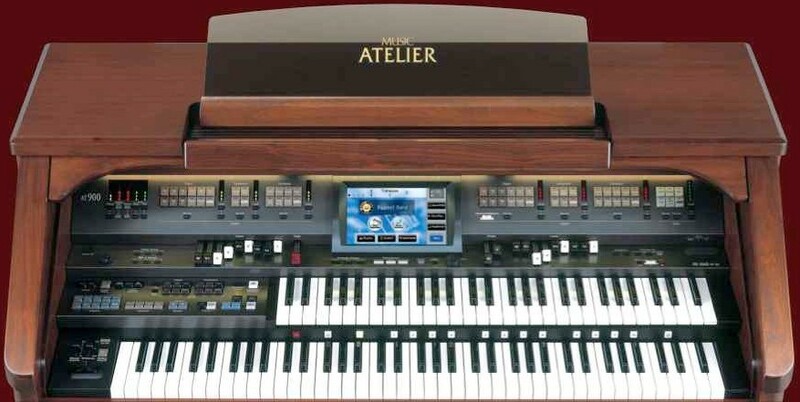 I got pretty good at playing those complex electric/digital organs like the one one pictured on the left and I can still play them to this day. Pianos (digital & acoustic) along pro keyboards & guitars are my instruments of choice now and I have become an expert on them not only in my playing skills but also my understanding of the intricacies and complexities of digital pianos both old and new. The digital organ is in a decline nationally and has been for a number of years and are typically purchased now by older seniors in retirement areas like Arizona, Florida, etc. Older seniors citizens typically do like various styles of organ music such as jazz, blues, Latin, swing, big band, Broadway, rock, country, boogie, etc because many of them they grew up with it, especially seniors who are in their later 70's, 80's, and 90's. It is well known that playing music makes a person feel better, for both the player & listener. This is because actively playing music stimulates the brain in so many positive ways and helps keep an "older person" feeling young and living longer (that's a good thing). By the way, I think that being old is mostly all in the mind as long as your body and brain continues to function well. I believe very strongly that you are as young as you feel and think. So with that in "mind," it is important to take care of yourself. Eat right, exercise frequently, and PLAY MUSIC. 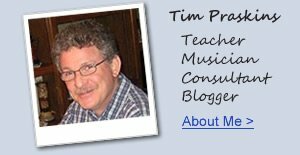 I am a music teacher & musician (piano, keyboard, organ, guitar) and can tell you by experience that seniors who play music normally stay mentally younger and are more alert. It's funny for me to think that even surviving "younger" musicians from bands like the Beatles, Rolling Stones, Beach Boys, and other popular bands of the 60's are all seniors themselves as are so many other popular musicians worldwide. Many younger seniors these days still listen to the music of their youth which includes the music of the 60's and 70's such as the Beatles, Simon & Garfunkel, Chicago, Earth, Wind, & Fire, Elton John, Glen Campbell, Billy Joel, along with classical music, etc, so wanting to play this kind of music comes naturally for many people...as long as you are willing to try. If you don't play piano now...YOU REALLY CAN DO IT. You just have to like music, want to express yourself in a positive way, and are willing to work at it using the available digital piano technology that can make it all of happen! 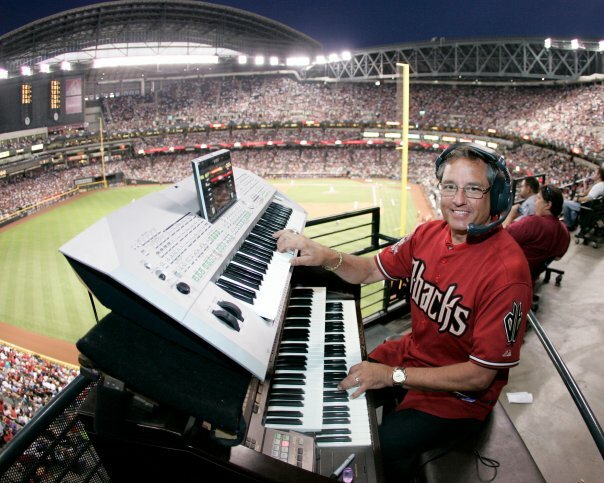 I have a good friend by the name of Bobby Freeman (pictured left) who happens to be the organist for the Arizona Diamondbacks professional baseball team. He has played at the games for many years and is a great musician and entertainer. Bobby plays keyboards, piano, and other instruments and enjoys music very much. I've worked with Bobby for a number of years and he especially enjoys entertaining kids & seniors, playing at various music events and concerts throughout the greater Phoenix, AZ USA area. If you asked Bobby about seniors playing music, he would agree with me 100% in what I'm saying here...that seniors who play good music, make good music, sing good music, and think good music are more apt to be more productive and more grounded as they age and will have something (playing music) that offers the ability to express yourself in ways like nothing else can. *By the way, there has been in-depth studies done of seniors "playing music"and the results of the study suggest that "making music may significantly improve an older person's quality of life and feelings of well-being. On top of that, making music helps them relax, feel better and deal positively with stress. It also may help the immune system in its fight against disease which in turn may help you live longer!" 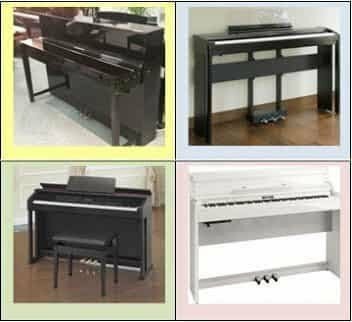 These days an "older person" who wants to get into playing music on a keyboard type instrument and is at a beginner level, can purchase either an organ, acoustic piano, digital piano, or small keyboard. 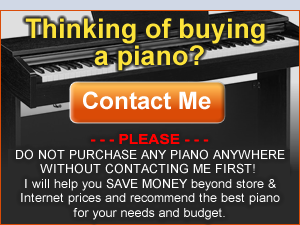 My recommendation is the purchase of a full size digital piano and there are many reasons for this recommendation. Generally speaking, new organs are a bit too expensive for what they do although they are still great fun to play. Even though I enjoy playing an organ (with some of the newer electronic features), I prefer a new digital piano because I really like the beauty of the piano sound and digital pianos are significantly less money than acoustic pianos or organs but can sound like an organ if necessary along with having all the "bells & whistles" of other instrument sounds, recording features, and educational features. A digital piano also has a key touch which has more weight (is a bit heavier) than an organ key touch which helps improve finger dexterity, motion, and strength. The digital piano key movement is also "touch sensitive" so the note gets louder or softer depending on how hard you push down on the key as opposed to an organ with no "touch sensitivity." And finally, a digital piano has just one keyboard as opposed to two in an organ which in my opinion makes a piano easier to play. Playing and learning guitar or other non-piano instruments at any age is fine, but it takes more work and finger conditioning and you generally can't play melody and chords together as you can on a keyboard instrument. Playing a smaller inexpensive keyboard is fun too, but in my opinion that playing experience isn't nearly as rewarding because of the difference in tone and touch between a good digital piano & lightweight keyboard. A regular acoustic piano (especially a Grand) is very satisfying to play as well, and I have a couple of those in my studio and enjoy them very much. But for the 'average senior,' a high quality full featured digital piano with resonate tone and responsive key action has so many advantages that there is little reason to buy anything else except for a good digital piano. 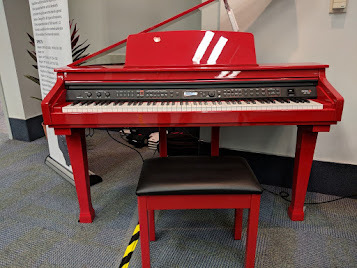 Some of the reasons include the digital piano never going out of tune, being able to turn down the volume so you can play quietly, having headphone inputs for total private practice anytime of the day or night, and offering professionally arranged instrument setups along with General MIDI song files that play music along with your piano playing which make a beginner sound like a pro within weeks. I believe that seniors who play music at skill level are generally happier and healthier people in body, mind, and soul, and that has always been my personal experience. Playing music WILL relieve stress, WILL make you feel better, WILL stimulate your mind, your eyes, and your ears, and WILL give a person a sense of "WELL BEING" that is unlike most anything else as I mentioned earlier. The instrument is in your home, always accessible any time, and will be around probably for more years than we will be. The fact is YOU CAN PLAY even if you're a senior with little or no piano playing experience. 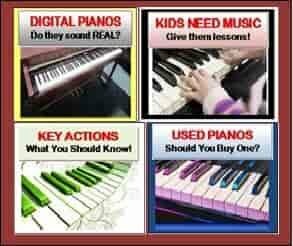 With the right piano teacher, learning curriculum (including self teaching on iPad or laptop educational program), & the right instrument, you CAN achieve your musical goals because I see it happen all the time. You just have to get started and DO IT. It is NOT rocket science and there are even short-cuts you can take to make satisfying music in less time than you think. As far as getting started on the "right digital piano," in the higher price range from about $2000-$5000the Kawai ES8 is a very good example along with the Yamaha digital pianos such as the CLP645, Korg C1 Air, Casio AP650, and others. In the lower price range under $1000 I recommend the Casio PX780 left pic $899US internet price), Kawai ES110, and a few others.The Casio PX780 instrument has many of the things that seniors need which includes lots of fun educational features & sounds, realistic piano tone & touch, and all in a lower price range. I have reviewed this model here on my blog so if you want to know more, please take a look: Casio PX780 review. There really are quite a few good brands and models of new digital pianos out there in various price ranges which could be very satisfying to play so just ask me about them and I'll give you some personal advice. It is interesting to note that using an iPad with a digital piano can help your understanding and relating to music be even more fun and more intuitive. 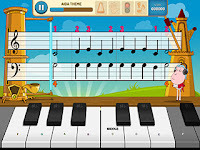 There are great apps available for piano learning and some are free and others are a very low cost. If you have an iPad it is easy to connect to digital pianos with the proper iPad and piano connectivity. If you do not own an iPad and are considering getting a digital piano, I would highly recommend the iPad interactive music experience with the piano. I use iPad piano apps in my studio for teaching and learning and if you want more info about that, just let me know. With all of this impressive music technology that is available to seniors, there is almost no reason why anyone who loves music cannot learn to play songs on these new digital pianos and sound good doing it. If you are a senior adult over the age of 50, don't wait for tomorrow to make your musical dream come true because no one really knows if they have a "tomorrow." Even if you are older and don't feel so good and cannot get around much anymore, you can still play piano and be able to express yourself and go any place you want to go...in your own imagination, in your thoughts, in the memories of your mind of friends and family...all when you play music! It is NEVER too late so get involved so do it while you can and you'll be very glad you did! *Check out these fun music videos below to see seniors involved in some great piano music! For more info on the subject of seniors playing piano or if you want to purchase one of these recommended pianos (or other brands and models) at lower than internet or store prices, please contact me at tim@azpianowholesale.com or call direct at 602-571-1864. Nice one! it is really a pleasure when a person begins to play the piano seriously, the limits are really endless! Keep doing! Thank you so much Tim for your inspiration. I guess like most people "LIFE " simply got in the way. I have loved my life but boy I so wish I had started my musical journey a lot earlier. I am 58 years of age now and in the last year have taken up piano, guitar, banjo and mouth organ ( or is it harp as you chaps on the other side of the Atlantic call it)Music is so much a part of my fabric, always has been and now I AM MAKING MUSIC (well sort of). There's so much "stuff" in my head and composing with my piano especially, helps me to relax but to my great surprise has increased my enjoyment of my other life as well ie the work stuff that pays the bills. Anyway thank you for EVERYTHING. I pray for you and your family, best wishes. Wayne Parker, Limey from Liverpool. hmmm...this is like saying that young children should not start piano lessons because their minds are too immature to understand music and how to play it...which is not true. It's also like saying that in the majority of "old people" their minds wear out and memory is terrible. The facts are that in 60-70-80 year old people only a relatively small fraction of those people have any of the difficulties you describe. My guess is that you don't associate with too many healthy "old people" and therefore your comments are based on lack of good info. I'm 62, I play a little guitar but can't consider myself a musician. I just retired, thought I'd try piano. I can't believe how hard it is for me. I'm still trying to play an "Easy" song on Synthesia. I just can't imagine that I'll ever be able to play with both hands. But I am not going to quit, I've got lots of time. I'll keep at it and see what happens. I'm 66. I started a Beginning Piano class at the local university two months ago. Tuition is free for people 65 and over! I bought a Casio digital piano for $750 from Tim. It would have been $50 more on Amazon. And Tim and his son helped me pick out the best piano for me and my budget. I'm so glad I made these decisions. I talked to the teacher before I registered and she told me learning piano is harder for older people, but it just takes more practice. She was right! I am learning! I'm actually doing better at this point then the young beginner students. It feels good to be learning. Many states offer free tuition for seniors for all their state college courses. Check it out! I took lessons from age 7 thru graduation practicing 30 minutes a day. I told my teacher I wished to learn some fun pieces like The Original Boogie so I would not put listeners to sleep. It worked. When I was 60 I had a slow period at work so I started playing my son's Casio WK 110 a little after lunch. Well 3 months later I was still enjoying that "after lunch refresher" more than anything. I was not very good, but I was getting better. At 60 or 65, it is not so much about how good you might someday be, but are you enjoying the time and maybe are you getting better, and I was on both counts. Unfortunately, we slow period came to an end and I could not justify the 45 to 60 minutes a day playing piano. So, next year I will be 66 and plan to retire. My fist bucket list item is a Casio PX-860 and an hour or more dedicated to my untapped musical enjoyment! Thanks Tim! I want to learn piano and because of that i purchase a keyboard as i cannot afford to buy piano so to keep learning about playing keyboard i do more research using online tutorials especially the basic. I believe at my age i can still learn fast.